The place to record and listen to lectures. 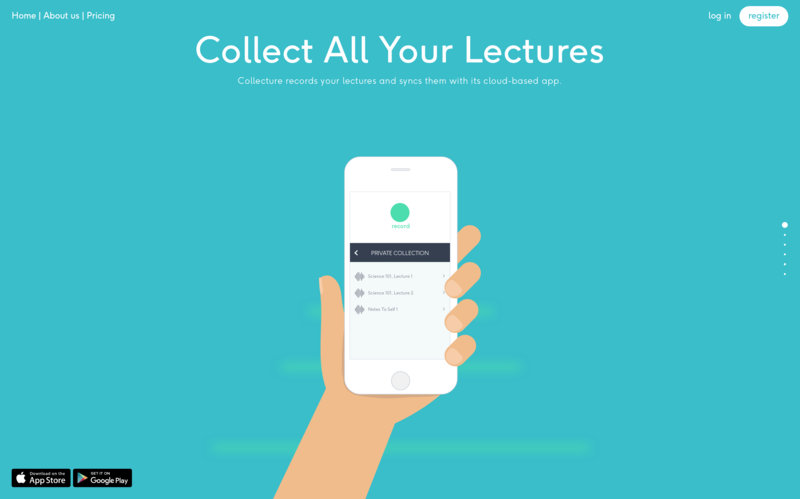 Record and listen to lectures on collecture.io - on the go, when you need it and at your own pace. 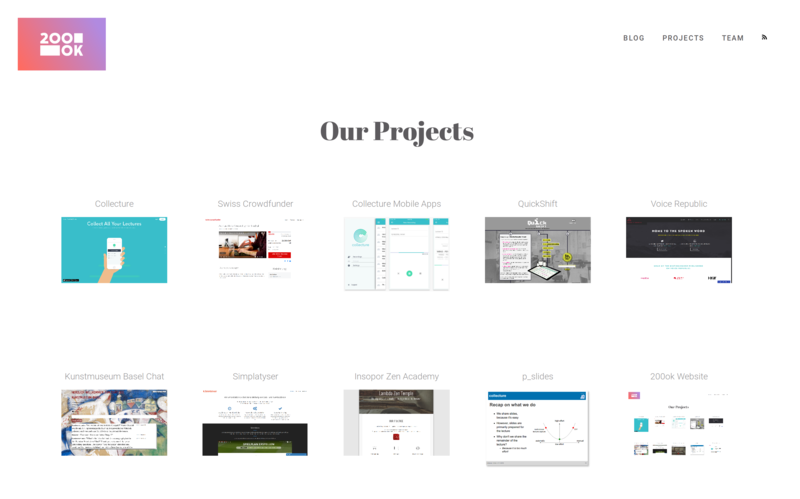 Swiss Crowdfunder is a crowd funding and equity funding platform. 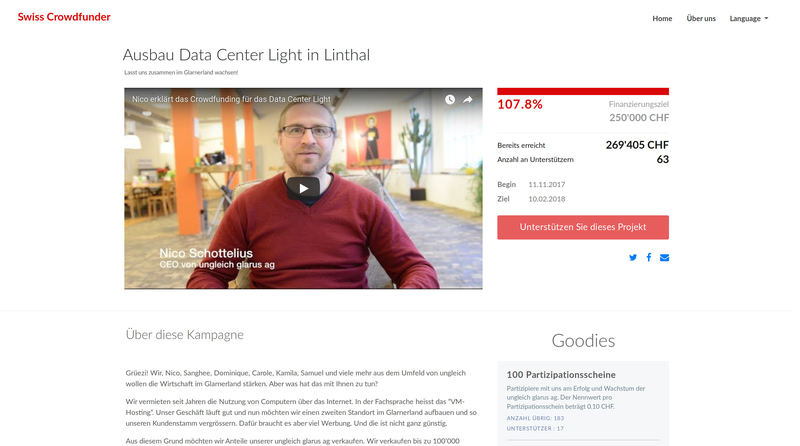 It is a joint product with ungleich glarus ag and Open Source. 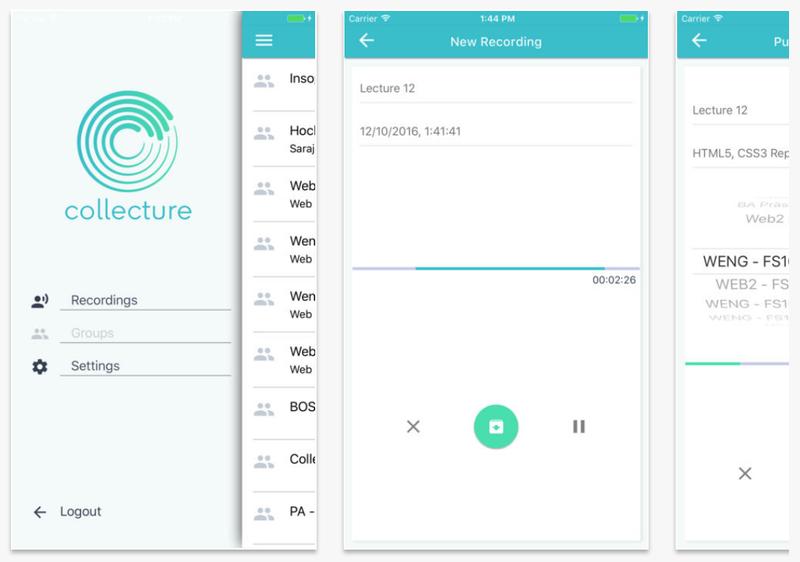 iOS and Android mobile apps to record, organize and share lectures and meetings on collecture.io. 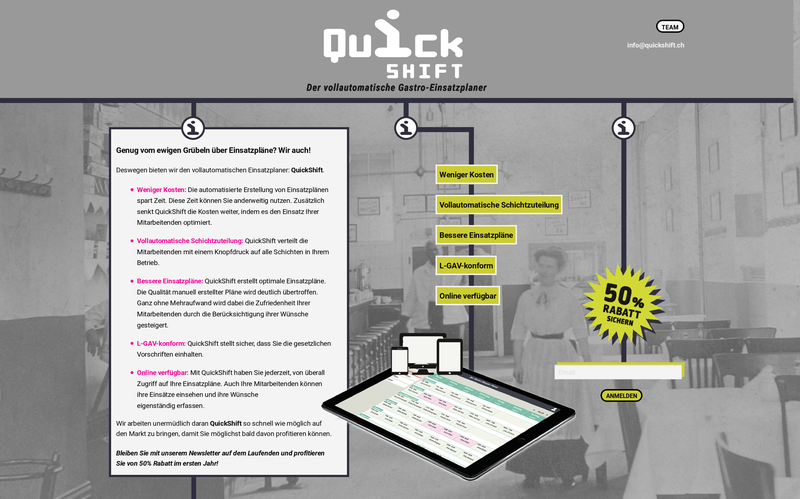 QuickShift is a fully automatic work planning solution. Professional live audio streaming and archiving of events. 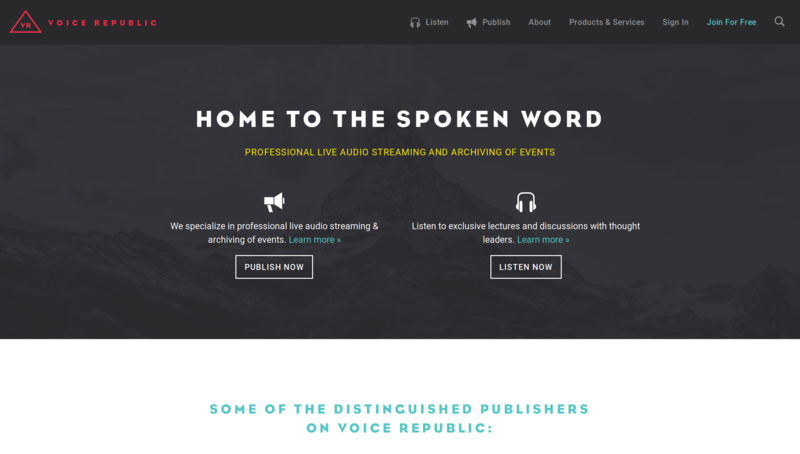 Whether you want to stream your event live or record it and upload the files - with Voice Republic you’ll easily create your own audio channel. A mobile-first chat application with an admin back-end for Kunstmuseum Basel exhibitions. 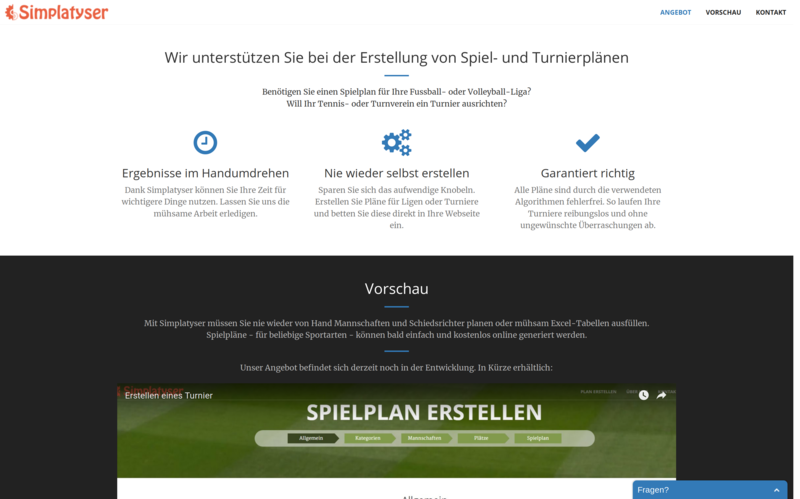 Simplatyser automates manual tasks for you with the power of the cloud. 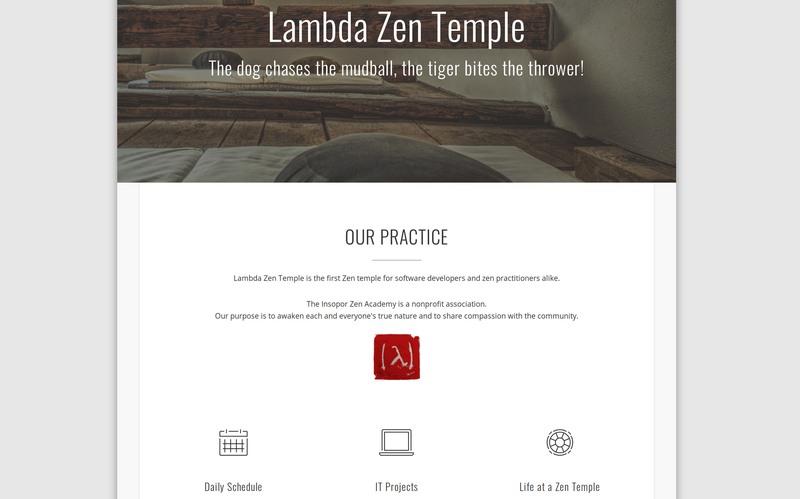 zen-temple.net is a multilingual, SEO optimized website with over 500 landing pages, each with automated integrations into 8 social media networks. It feeds data from specialized microservices and has automated integration into Google Adwords. 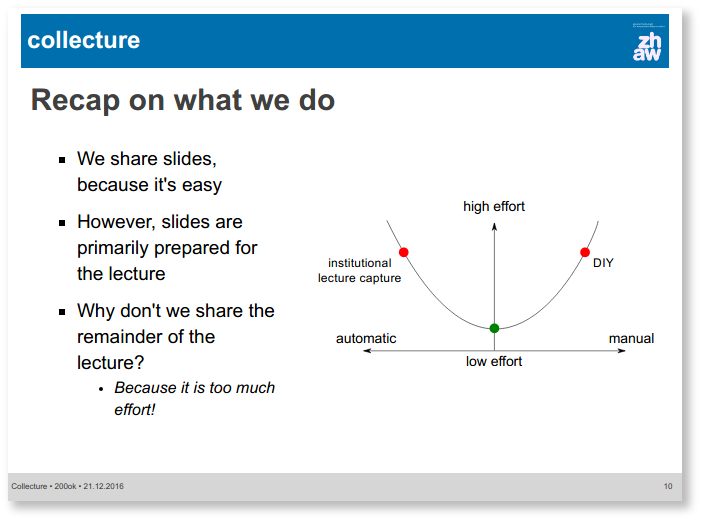 p_slides is a "static files only", dead simple way to create semantic slides. A Clojure library that provides a reasonably convenient database on top of the file system. Generates a dependency graph for Clojure and ClojureScript code. Webhooks is a lightweight webhooks server written in Clojure. 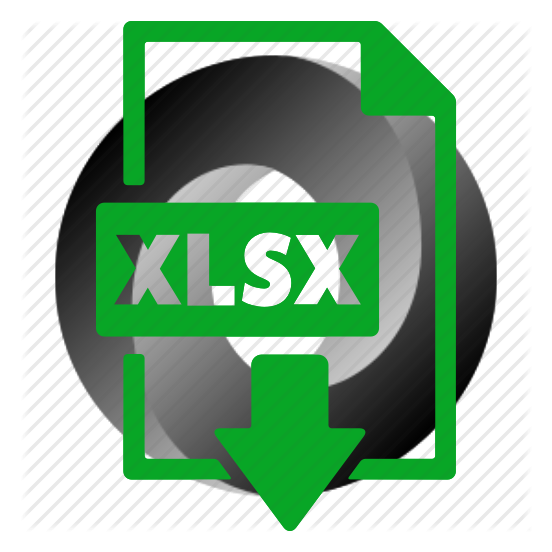 json2xlsx is a self contained binary to convert json data into a xlsx file. Pseudocult (which is an anagram to "cloud setup") enables you to set up your cloud (AWS) declarativly and consistently. Hegel is a swiss german word for a pocket knive, and most recently also a tool to convert camt to v11. A microservice accessing the Meetup API and rendering a HTML table for any given meetup. A library management application that we developed as a contribution to library organised by volunteers.